Dōryī are plant enemies originating in Donkey Kong for Game Boy. They can be first seen in the Forest, in Stage 2-3. Dōryī attack by shooting out seeds at regular intervals. The seeds trace perfectly horizontal trajectories across the screen and are harmful for Mario, even though the plants themselves do not form a peril, as they can be touched and/or stood on fine; on the other hand, they cannot be defeated. Neither their seeds can be destroyed, but can be dodged nevertheless with a crouch, backflip, or a well-timed Handstand Jump. 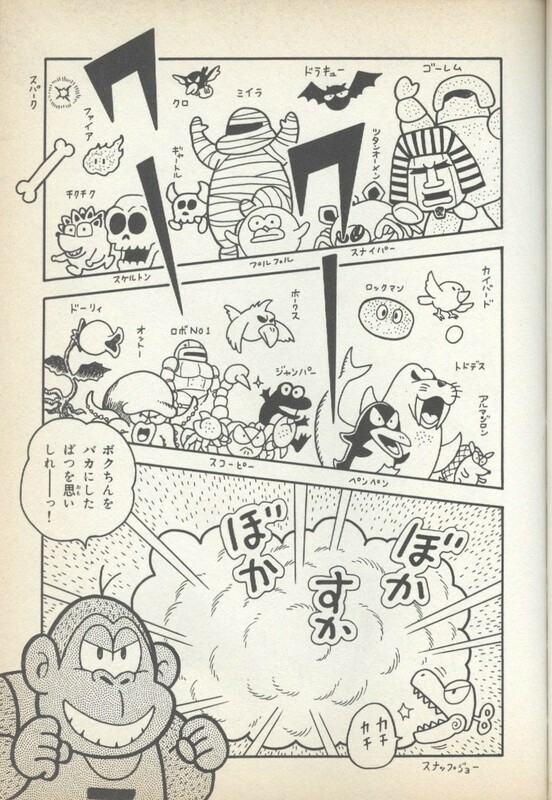 Dōryī are replaced by Tane Pakkun in Mario vs. Donkey Kong. Dōryī Likely a corruption of Dolly or Dory. This page was last edited on December 14, 2018, at 01:56.